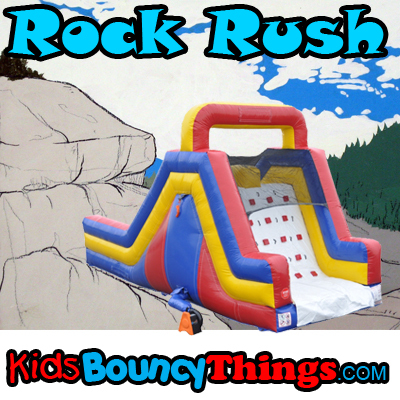 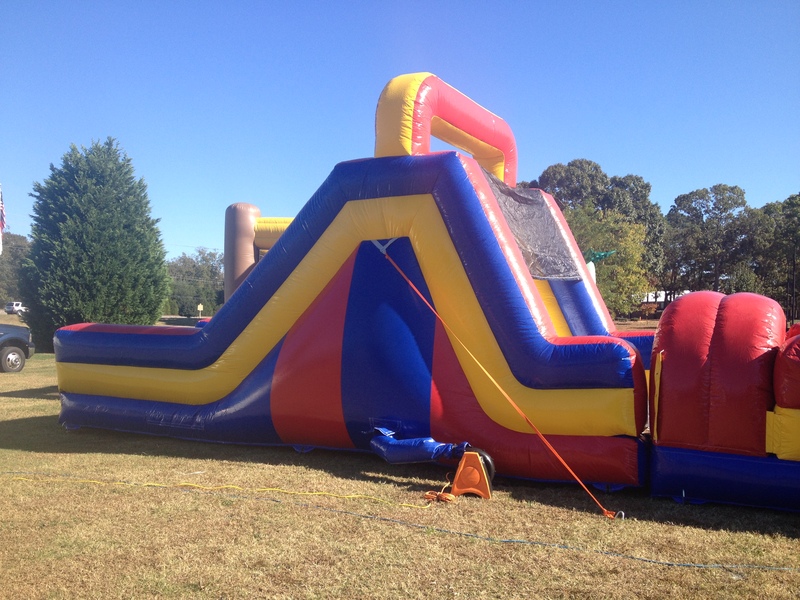 This inflatable 15ft red and blue rock rush slide is the perfect inflatable for your party (birthday, graduation, celebration, summer barbeque, etc). 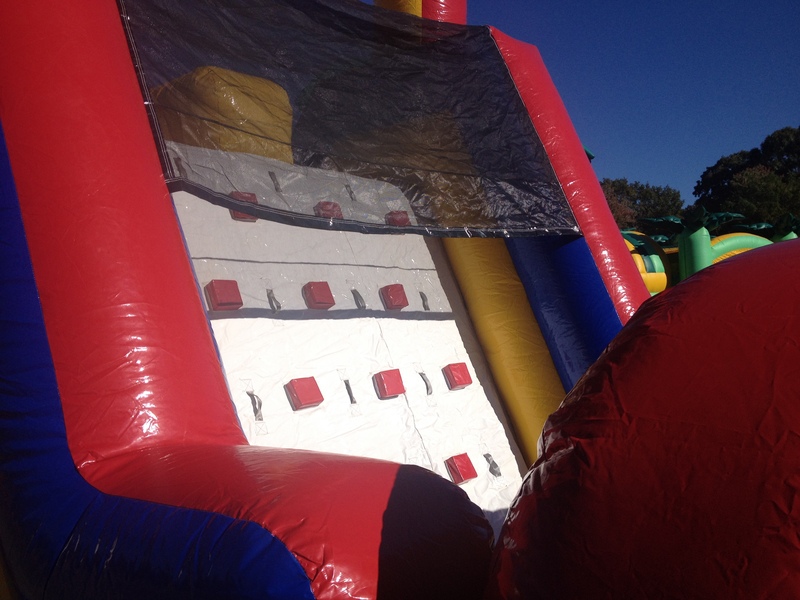 The rider will exit on the opposite side of the slide allowing other riders free entrance to climb up the slide. 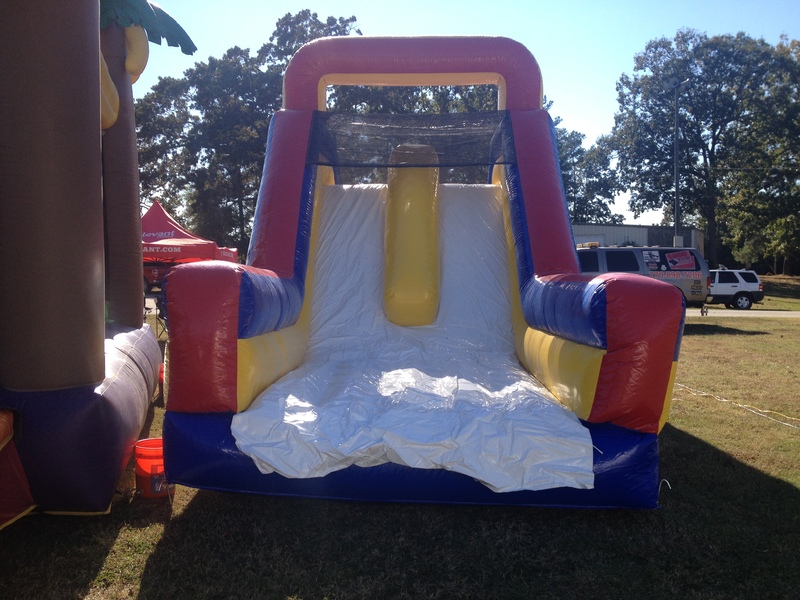 The kids will ride the slide over and over and over again.